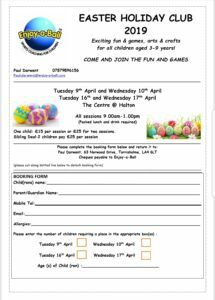 Paul Darwent runs prize winning sessions of Enjoy-A-Ball for children aged 3 to 9. He introduces them to all sorts of ball games and arts & crafts in an appropriate and very enthusiastic way. 2pm to 3pm for pre-school and 3.30pm to 4.30pm for primary years 1 and 2. Sibling deal : 2 children pay £25 per session. Enjoy-a-Ball regularly runs holiday sessions. 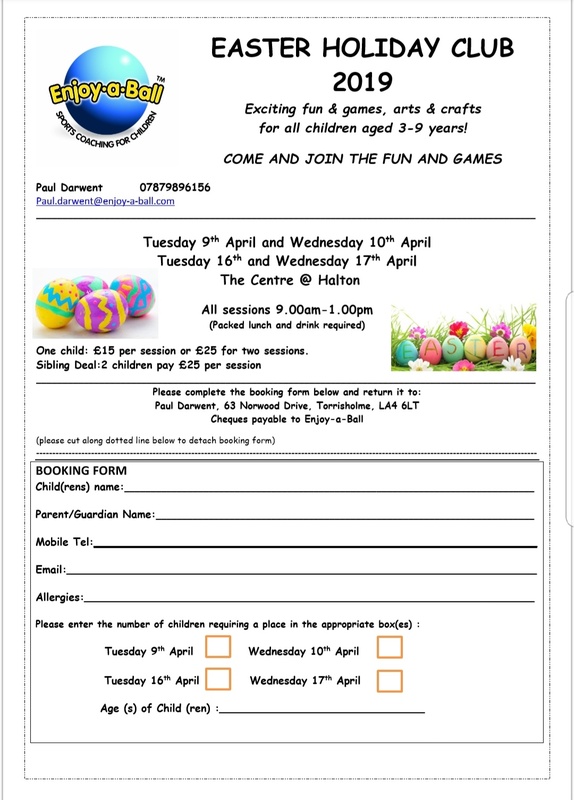 The next Holiday Clubs are at Easter, on Tuesday 9th and Wednesday 10th April, Tuesday 16th and Wednesday 17th April. Complete the booking form and return it to Paul Darwent. 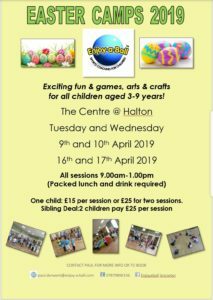 The holiday clubs provide exciting fun and games, arts and crafts for all children aged 3 – 9 years. 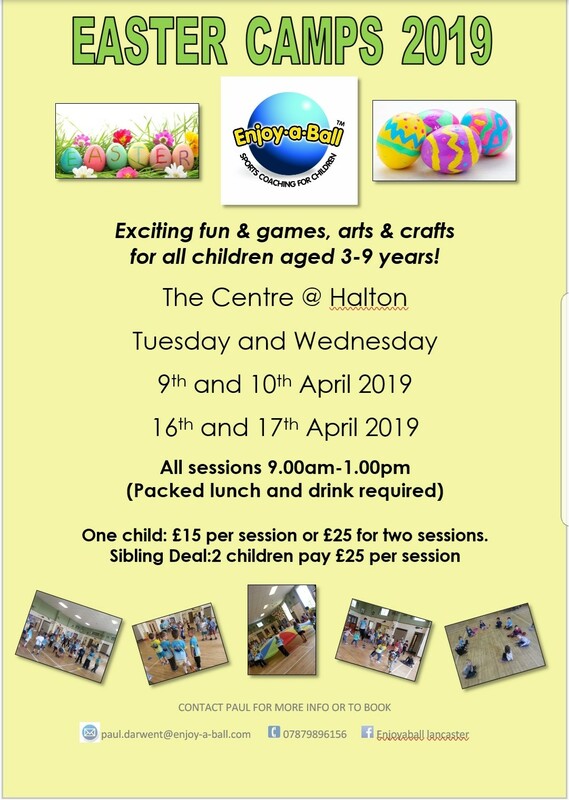 All holiday club sessions are from 9.00am to 1.00pm. (Please bring a packed lunch and drink).